It’s that time of the month… no, not that time of the month! It’s time for a new Journal Calendar and the February Journal Calendar is here! 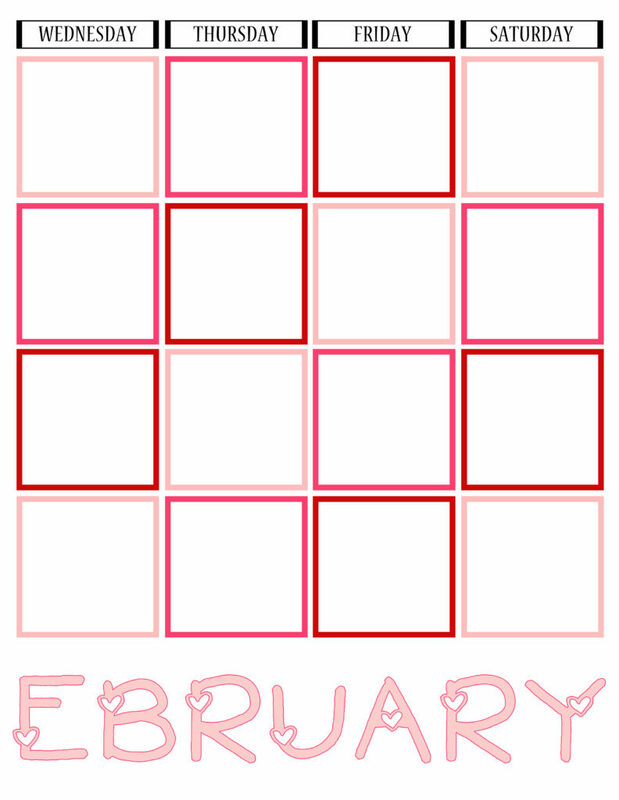 February will be here before I turn around – which I do a lot around here with three busy boys – so now is the time to print out the February calendar! 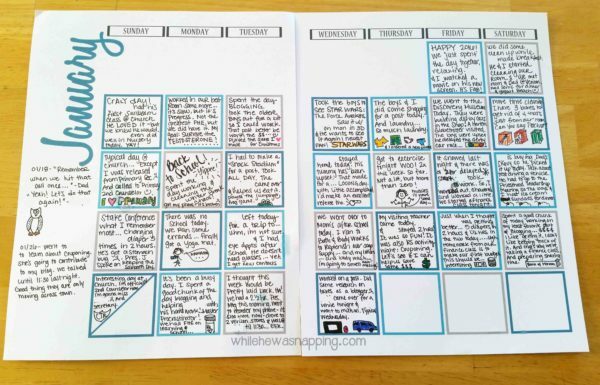 How did you do with your January calendar? I’ll admit there was a week I had to go back and fill the whole week in one Saturday night… but that’s what I love about this system. As long as you don’t get too far behind, you can play catch up pretty easily. I got so wordy a few times I didn’t have space to draw a little picture, which made my inner amateur artist a little sad. Maybe I talk too much? Hmm… So, let’s cut the yammering and just get to it. You can download the PDF file of both pages (only one is pictured above) for the February 2016 Journal Calendar. The two pages are combined into one file, so you only have to download once. Missed out on last month’s calendar. That’s okay! It’s never too late to start! And if you want to print last month’s journal calendar and try to go back and fill some of it in, you can do that too! Why is the Journal Calendar so amazing? Because it’s the easiest way I have found to keep a daily journal and it takes less than five minutes a day. I’m a busy momma and as much as I like to write, I don’t often have the time to sit and write a journal entry each day. With the Journal Calendar, I can capture the highlights and get a pretty complete picture of what my day, week, month and year has been like… It’s usually full of laundry… without feeling like I’m leaving other things unfinished because I was trying to write in my journal. Here is what my January Calendar looks like so far… pretty cool, right? DOWNLOAD THE FEBRUARY 2016 JOURNAL CALENDAR! I am going to be posting the rest of them. I’m having to switch my file host and it’s taking me longer to get everything moved over than I expected it to. The posts with the March and April calendars weren’t linking correctly, so I took them down. I can let you know as soon as they are available if you’d like.